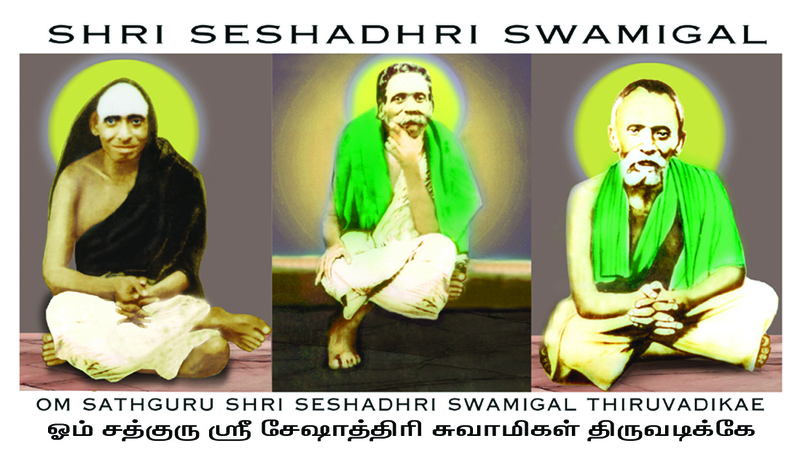 The ideas, views, comments and opinions expressed in this site are purely personal, and solely belong to Sathguru Sri Rajalinga Swamigal, and His group of disciples and devotees of Avathar Sri Seshadri Swamigal. They do not, in any way bear reference to the Seshadri Swamigal Ashramam at Thiruvannamalai, or the Seshadri Swamigal Ashramam Trust at Pondicherry. All the content of these sites have been the result of several years of penance, by Our Poojaniya Guruji, SATHGURU SRI RAJALINGA SWAMIGAL, (the texts were dictated to Him, by the AVATHAR SESHADRI SWAMIGAL HIMSELF), for the welfare of all His Devotees and Disciples!